Capital Gain should arise in the previous year in which Transfer took place. Computation of Tax on Short-Term Capital Gain if Security Transaction Tax (STT) is applicable (Section 111A). Disbursements by the Company to the Shareholders, to the extent of Accumulated Profits. Grossing up of Lottery Income, etc. If an assessee lets on hire machinery, plant or furniture and also building and letting of building is inseparable from letting of machinery, plant or furniture, income from such letting is taxable as income from other sources, if the same is not chargeable to tax under the head “Profits and gains of business or profession”. As per section 145A(b), any interest received by an assessee on compensation or enhanced compensation, as the case may be, shall be deemed to be the income of the year in which it is received. 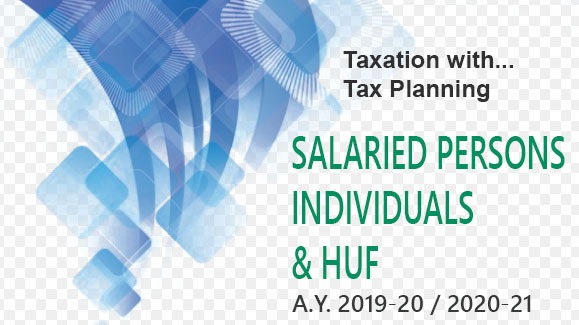 Further, as per section 56(2)(viii), income by way of interest received on compensation or on enhanced compensation referred to in section 145A(b) above shall be taxable under the head income from other sources in the previous year in which such interest is received. Sub-section (2) of Section 56 specifies 9 (nine) incomes which are always taxable under the head “Income from other sources”. > Sec.70 : Set-Off of Loss from one Source against Income from another Source Under the Same Head of Income. > Sec.74 : Losses Under the Head 'Capital Gains'.